On 11 & 12 February the BJO and Tutu Puoane will perform We Have A Dream in Dizzy’s Club Coca-Cola in Jazz at Lincoln Center, New York City! Now for sale in the BJO webshop! The sheet music of many BJO arrangements (by Michel Herr, Frank Vaganée, Lode Mertens,...) now for sale in our webshop! Extracts from Nasty Boy, O.U.T, Only for the Honest and Smooth Shake. Live @ Flagey, January 2017. From the album Smooth Shake, W.E.R.F. records, 2016. New York (US) with Tutu Puoane! February 2019 was a series of high points for BJO. We toured to Canada with David Linx, where we played BREL in Quebec and Victoriaville. Here’s a video extract from the Victoriaville performance. Then we went on to New York, where we were joined by Tutu Puoane for 4 concerts of We Have a Dream in Dizzy’s Club at Jazz at Lincoln Center. Listen to the audio diary that Tutu Puoane kept during the New York tour for Belgium’s Radio Klara. With our fantastic Canada/US tour behind us, BJO is totally geared up for the premiere of a new production! In The Pines is based on the acclaimed eponymous graphic novel by Dutch illustrator Erik Kriek. His book, the basis for this off-beat performance, is a selection of murder ballads: macabre and simultaneously gorgeous songs praising the dark romanticism of murder and manslaughter. Kriek’s illustrated stories were digitised for projection, and Frank Vaganée arranged the accompanying songs for jazz orchestra. Vocals and effects are by Lynn Cassiers. In The Pines will have its premiere in Flagey in Brussels on 14 March, followed by performances in Sint-Truiden and Lier. More info. 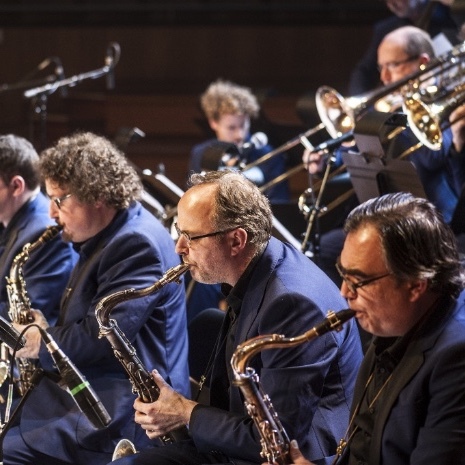 In addition to Fire Up That Bigband and the Youth Jazz Collective, the BJO will launch another educational project this season, as part of the annual Summer School at the arts campus of deSingel in Antwerp. 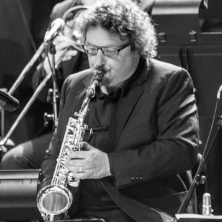 From 12 to 16 August, enthusiastic big-band and jazz musicians can participate in the Brussels Jazz Orchestra Academy, a five-day summer school for ambitious musicians (from advanced amateur to professional), led by BJO musicians. Want professional coaching in your big-band/ensemble skills during an intensive summer session? 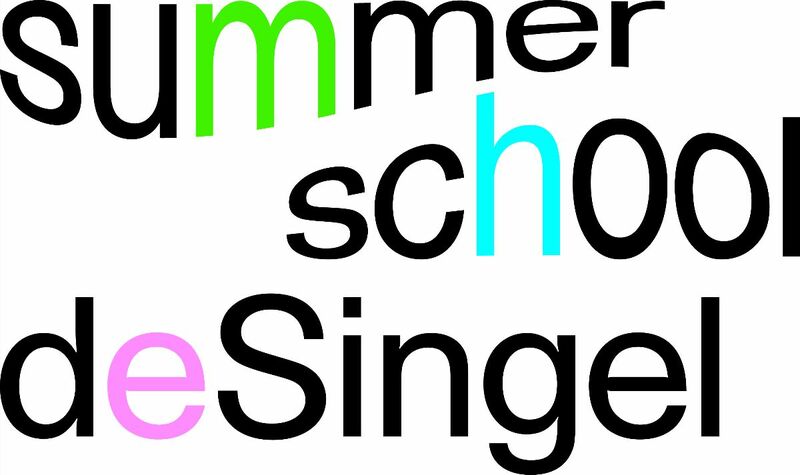 Then send in your digital audition for this summer school and “learn from the masters”. More info. How long have you been part of BJO? "Since day one. 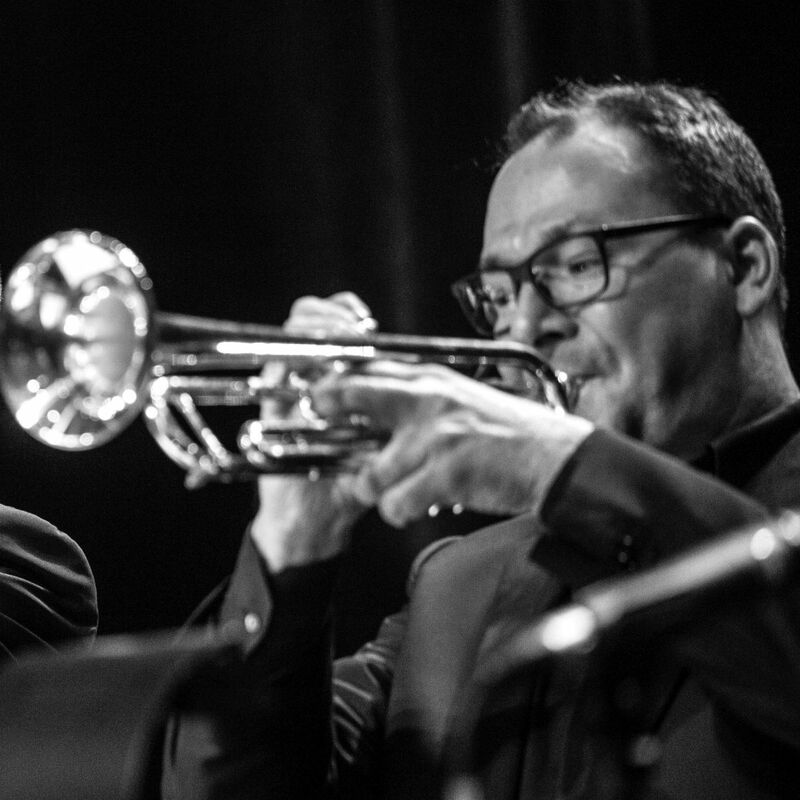 I’m one of the founders of Brussels Jazz Orchestra, along with Marc Godfroid, Serge Plume, and Bo Van der Werf and the members of his band Octurn. Our first concert was in the jazz club Sounds in Elsene, Brussels on 9 March 1993. 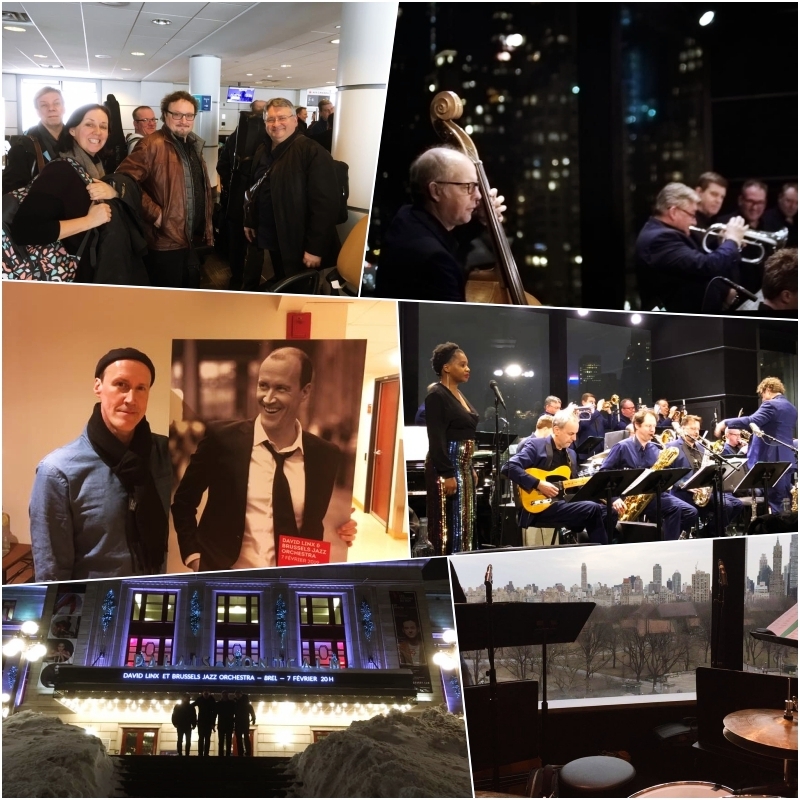 Gradually – actually pretty quickly – I took on the organising: leading the rehearsals, conducting (actually more cueing), doing the announcements , fixing the personnel for each concert and being the contact person for the outside world. In 1996 we became a “vzw” [non-profit, ed.] with Serge and Marc and others on the board." What do you do/play in the orchestra? "I play the lead alto saxophone part, as well as soprano sax and flutes. I also lead the orchestra in rehearsals and concerts and do the announcements on stage. I also frequently write arrangements for BJO projects." Why did you choose your instrument and/or role with the orchestra? "Actually, I didn’t consciously choose the saxophone. I originally wanted to play trumpet. My musical adventure started with my local wind band, but after a few weeks of my trumpet playing, they didn’t think trumpet was such a great idea for me. After a few detours I found the saxophone. Gradually you master the instrument and over the years it becomes an extension of yourself. I don’t see a future for me in playing trumpet any more..."
What do you do besides your work with the orchestra? 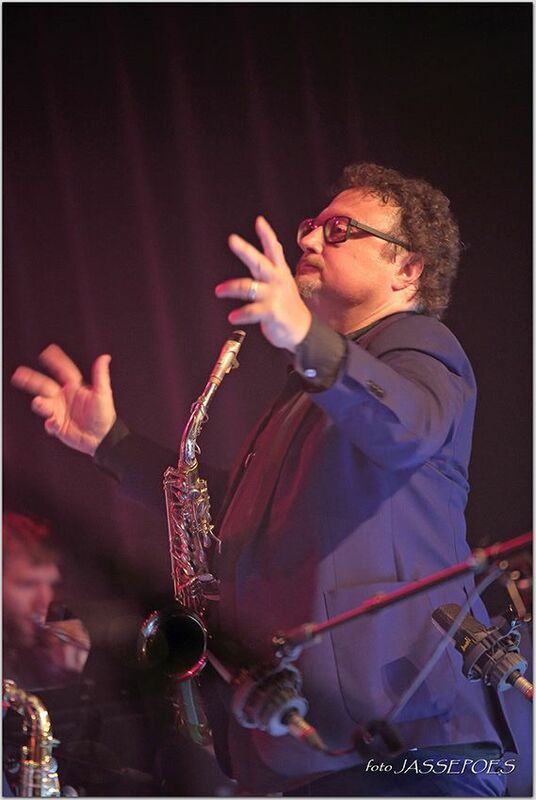 "Besides my role as the artistic director and a musician with BJO, I’ve taught for years. I’ve done that since 1993 at the Lemmens department of the LUCA School of Arts in Leuven. I teach saxophone, ensemble, big band, arrangement, and composition there, and this year I became coordinator of the jazz department. I used to teach at the conservatoires in Ghent and Amsterdam and even longer ago at the JazzStudio in Antwerp. 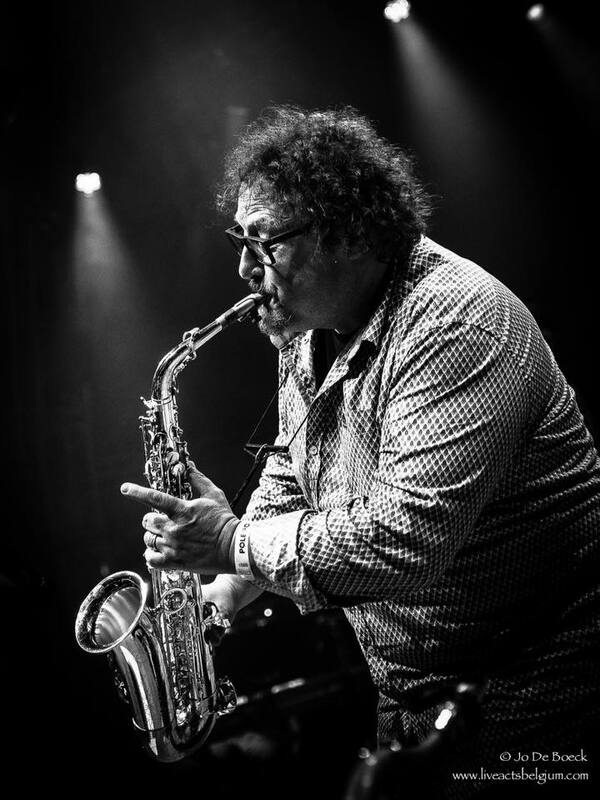 Besides playing with Brussels Jazz Orchestra I also take part in projects with smaller ensembles, like Tripod (with Jos Machtel and Hendrik Braeckman), and a crossover project with my trio and the early-music ensemble Zefiro Torna. I also play with Frank Deruytter’s groovy funk group OTOMachine, and do other freelance work. At home I write arrangements or new compositions, mostly for BJO." Which of this season’s BJO productions are or were you looking forward to the most and why? "I’m mainly looking forward to the rehearsals and concerts with our new programme In The Pines, the second project where BJO takes on the challenge of having a dialogue with a graphic novel. I wrote all the compositions and arrangements for this project, which became my main occupation in the last year. Within a few weeks I’ll hear the result of all that work. It’s exciting!" What is your favourite BJO memory? "There are so many. My tremendous gratitude goes out to the current BJO musicians and staff, but also to those whose paths have crossed with the orchestra. They’ve all helped to write this unbelievable story, which I never take for granted, and they still do." 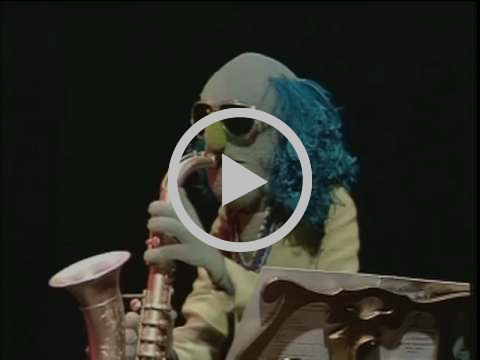 A new section in which we share video material from jazz- & big-band land. BJO musicians perform | Even once they’re off the BJO stage our musicians keep busy. They play in various other formations, start up productions and release albums, both with other BJO colleagues and other big names from the national and international jazz scene. We’re pleased to provide an overview of their calendars and personal projects in every newsletter. On 22/03 Frank will lead the LUCA Bigband ft. Jesse Van Ruller at Leuven Jazz in the Leuven City theatre (Stadsschouwburg). More info. On 31/03, Frank will be guest soloist with the Cologne Contemporary Jazz Orchestra, playing repertoire by Frank himself and by Michel Herr. More info. On 20/03 Nico will conduct The Very Bigband in CC ‘t Schaliken in Herentals. The evening’s guest soloist is none other than BJO colleague Marc Godfroid. More info.